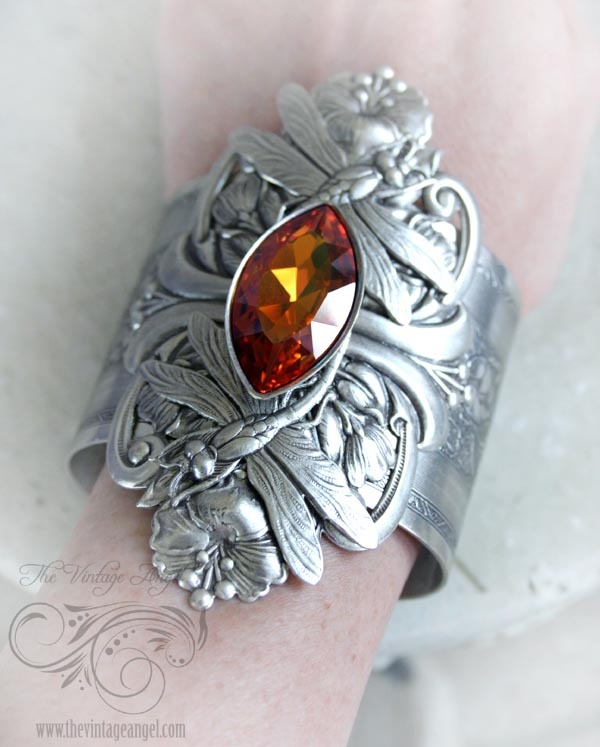 A show-stopping fantasy cuff bracelet with so much sparkle. 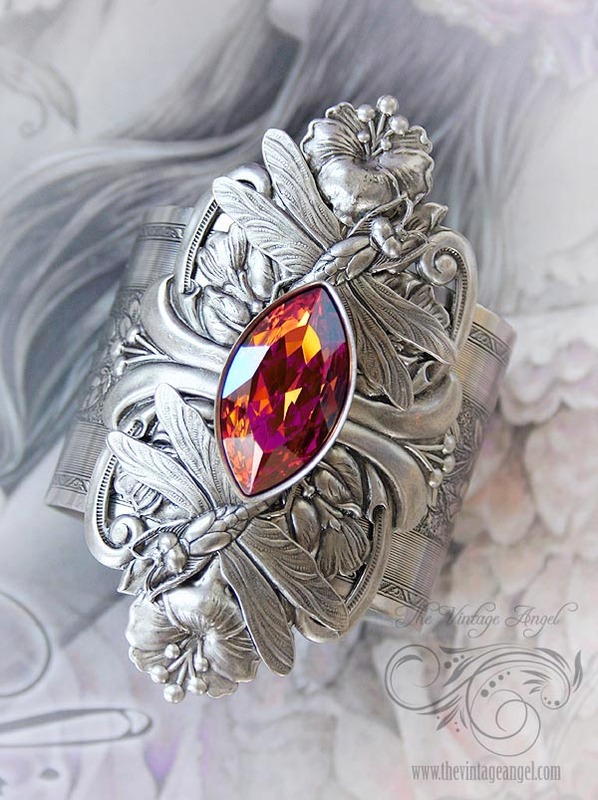 A large, 2" wide sterling silver plated cuff with floral detailing features a large, floral stamping layered with metal rivets for durability. 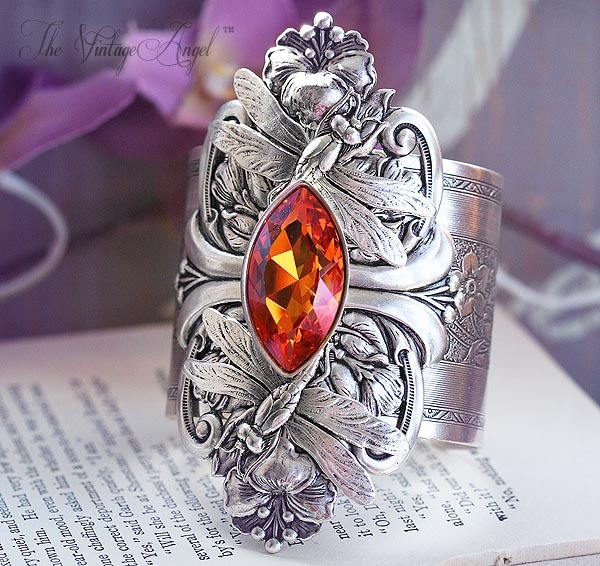 Two curved dragonflies surround a large (over one inch high) Swarovski Marquis crystal in a dreamy summer orange with flashes of pink and purple.